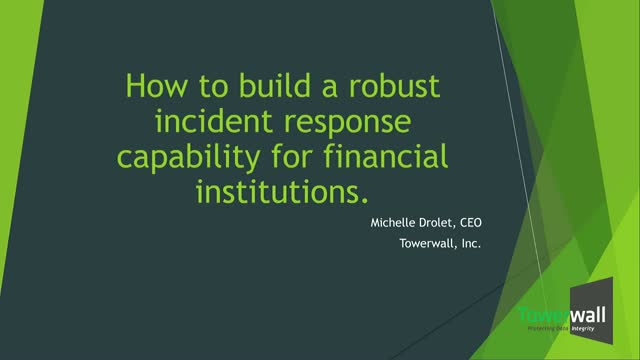 Michelle Drolet CEO of Towerwall will be discussing the need for developing a solid Incident Response Program and doing Tabletop exercise throughout the year. An Incident Response Plan (IRP) will ensure information security incidents, once identified, will be handled and communicated appropriately. Consistency of how incidents are handled and communicated is paramount to a successful incident response. Michelle Drolet, CEO, Towerwall, Inc. Presented by: Michelle Drolet, CEO, Towerwall, Inc.